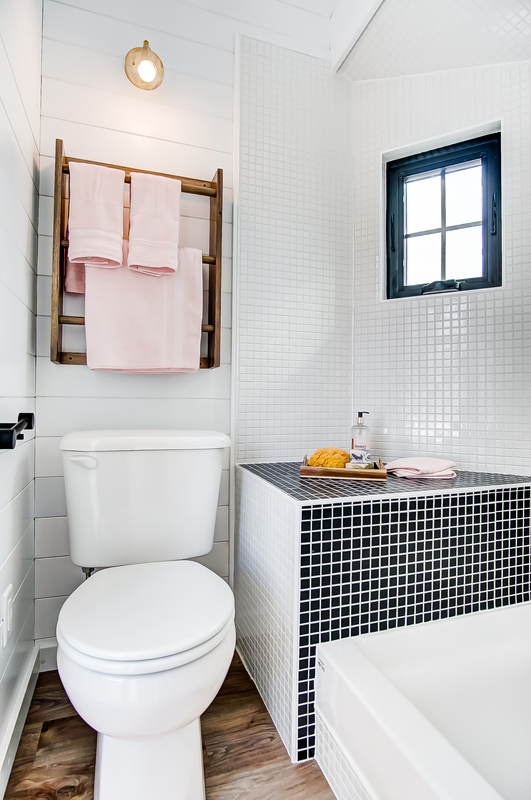 It’s not the size of the house that matters, but the amount of heart that makes it a home. 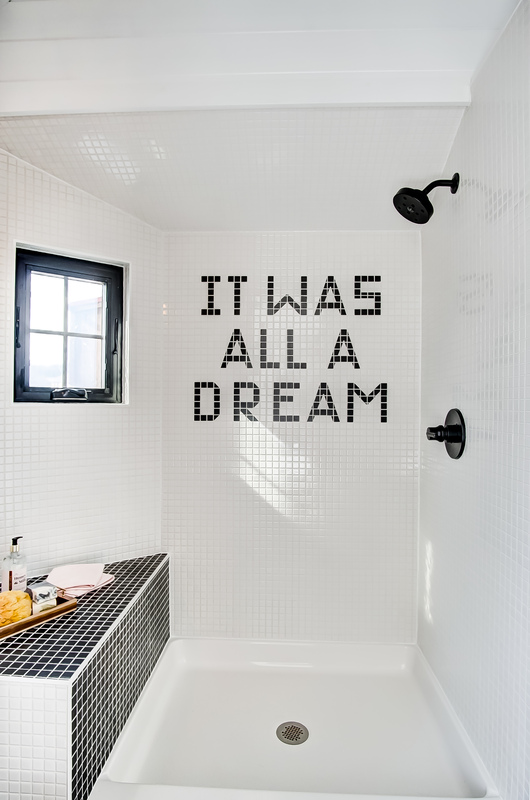 Or at least, this feels to be the mantra behind Allswell’s latest expansion. 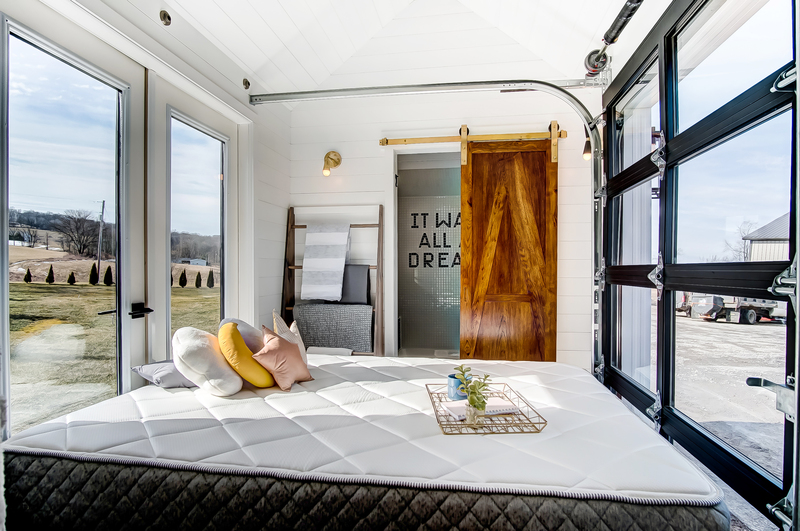 The mattress company announced Thursday, February 7, its plans to debut a custom-designed tiny home with all the cozy furniture and decor of a regular-sized home, but with the convenience of mobility, perfect for couples on-the-go. 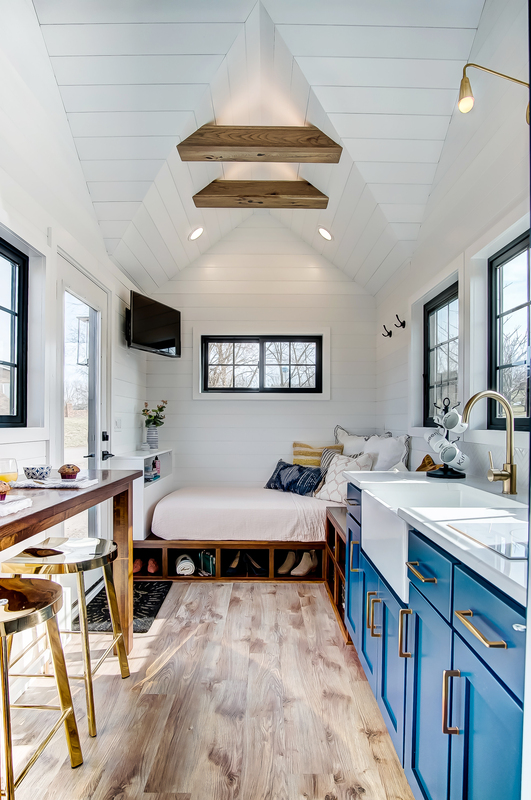 The tiny home, custom-built by famed tiny home builders Modern Tiny Living, is comprised of four rooms, with a master bedroom, a bathroom, and a combination kitchen and work/dining area, perfect for couples looking to start their lives together. 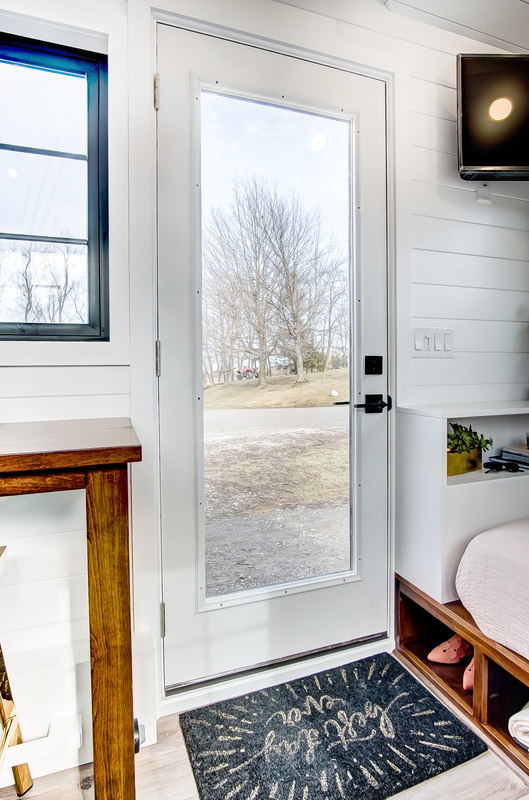 With windows on all four sides of the home (as well as a roll-up glass garage door for an extra indoor-outdoor option), the 238-square-foot tiny home is flooded with light. 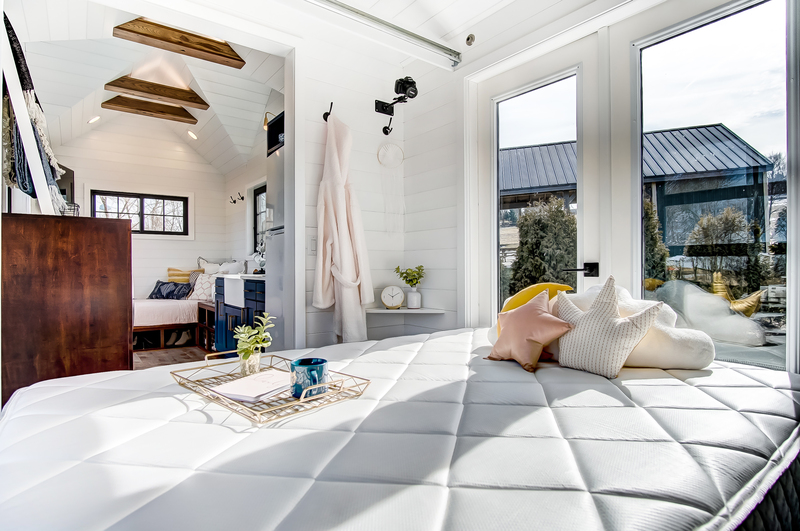 In addition to the main Allswell Luxe Hybrid mattress in the master suite, the home also features a lower price-point mattress, The Allswell, on a custom-built couch with storage and a twin daybed, which can be transformed into an additional sleeping area. 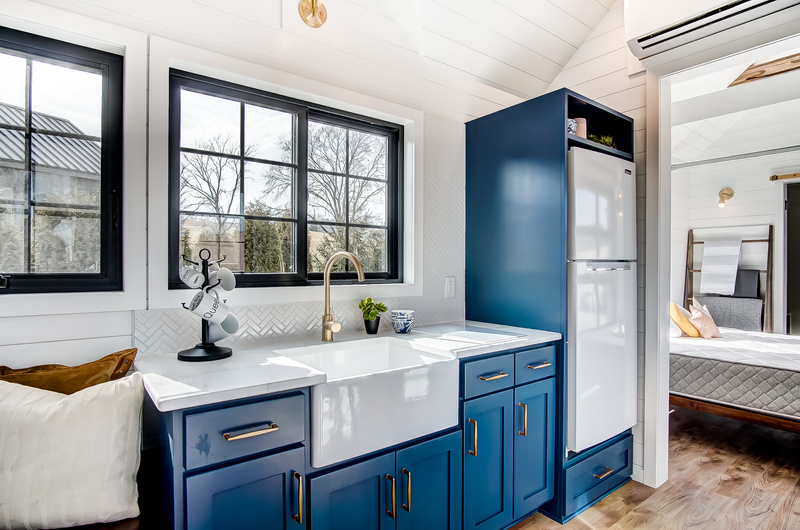 Other fun details include the custom-tiled “It Was All a Dream” shower and a bright blue farmhouse sink in the kitchen, as well as brass fixtures and a drying rack in the bedroom. 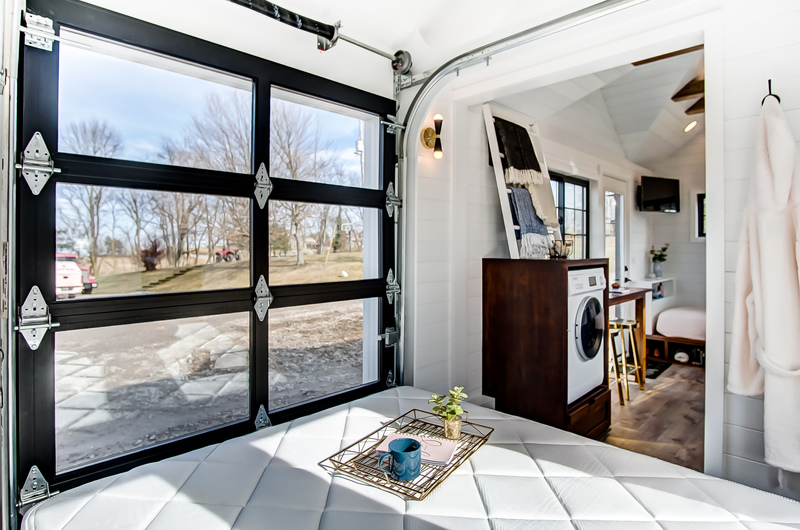 For those who are interested in going all-in on the experience, the option to buy the home is there as well, for a starting price of $100,000. 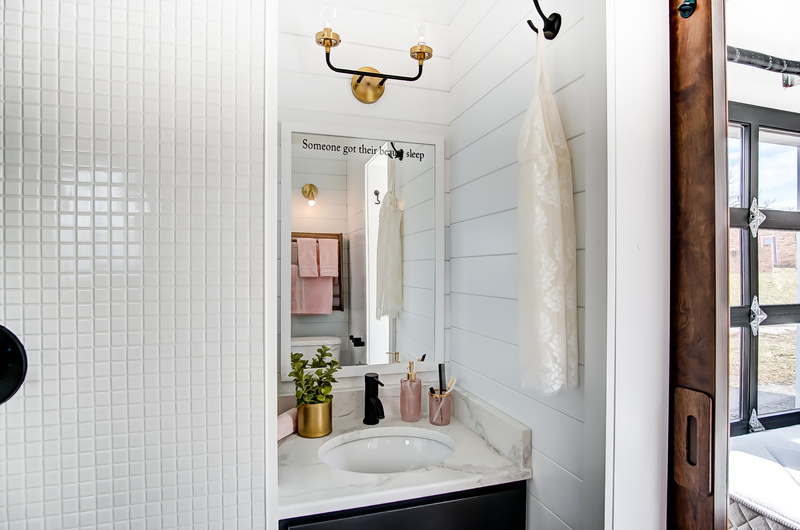 Add it to your list of items on The Knot Registry, where you can register for everything from cash gifts to go towards the tiny home to products to fill the space. 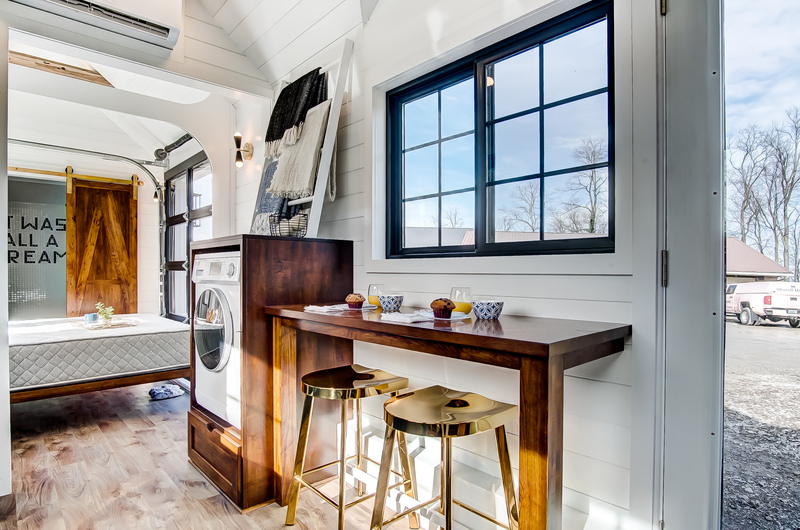 The Allswell tiny home will tour the following cities in February: New York City, Philadelphia, Washington, D.C., Atlanta, Nashville, Austin, Dallas, Los Angeles, San Francisco, and Portland. 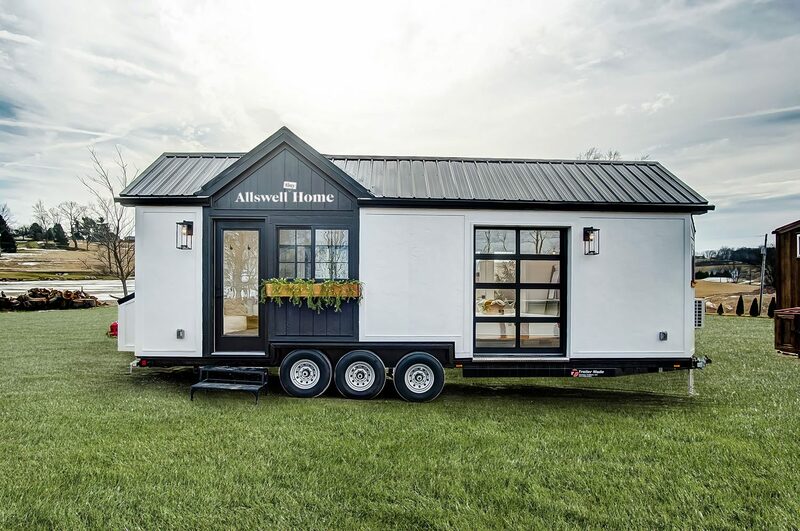 Be the first to comment on "This New Tiny Home Concept Is an Incredibly Cute Option for On-the-Go Couples"